X-SERIES Weighing in at whopping 100-ounce face weight this artificial grass variety rises above the competition with its unmatched softness and durability. Multi-color grass blades and a dense tan thatch combine to offer a leading contender in its weight class. 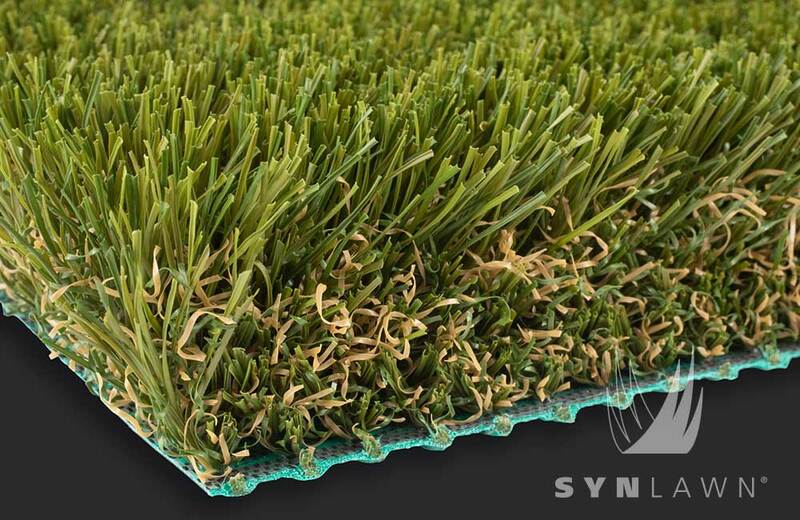 Representing the next generation of artificial grass technology, SYNAugustine X47 (SAX47) is destined for greatness. Mixing soft, yet dense Omega-shaped multi-colored grass blades in delustered olive, apple, and field green with thick beige thatch to create a gorgeous, unique variety of synthetic turf. Less sheen and stout in weight (126 oz) make this pound-for-pound one of the most significant grass upgrades ever! Residential and commercial lawns, landscapes, school playgrounds, and child play areas including sloped areas, pool surrounds, water-saturated areas, areas with too much shade and spaces where natural grass doesn’t like to grow.